Malene Leerberg and I have authored an article for the Finnish Journal of Urban Studies entitled ‘Kolding – We Design For Life: Embedding a new design culture into urban regeneration’. Apart from the photos in which you can see some of your favourite Design Culture academics, the text places the Kolding design project in the context of other approaches to urban regeneration and in emergent themes of design thinking and service design. 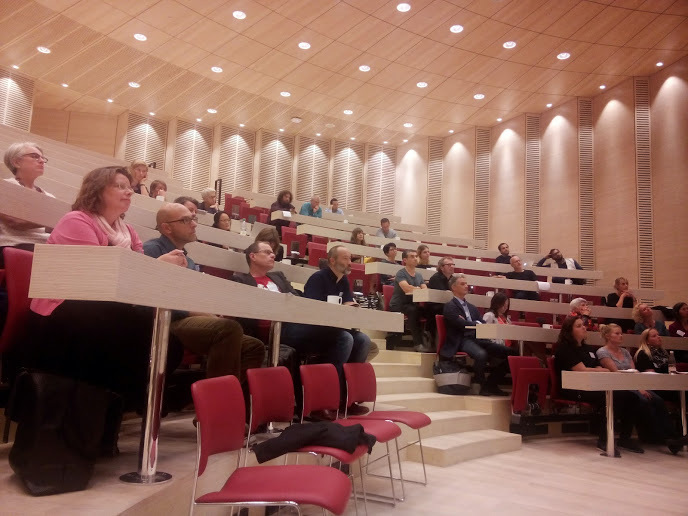 Around fifty delegates gathered for this late-September conference, held in the majestic and brand-new Henning Larsen Architects designed Kolding campus for the University of Southern Denmark. Basking in the sun of an Indian summer, its triangular shape caught the light and the imagination. The multi-decked interior provides a wonderful space for continuing the discussion after plenary sessions and specialist strands. how it operates as a form of practice for professionals, activists, citizens, teachers and students. We were well provisioned with perspectives coming from at least three participants holding the title of Professor of Design Culture, the editor of the Design Culture Reader, course leaders of Design Culture(s) degree programmes from three European universities and the editor of a new Hungarian language journal of Design Culture. Further, all the other participants were using this concept in their research, practice and teaching with countries represented including New Zealand, Australia, Canada, South Africa, Lebanon, India, USA and most European countries. The programme promised and delivered diverse approaches and sensibilities. Rather than give a blow-by-blow account of the conference, I’d like to summarize some personal thoughts on the conference outcomes here. It was refreshing that we didn’t get stuck on defining and redefining the term ‘design culture’. Some delegates argued for talking about design cultures to emphasize the plurality and multiplicity of its processes. Clearly there is an acceptance that design cultures are situated, that they are contingent on the specific sets of skills, knowledge, resources, understandings and so on in different contexts, that give rise to design cultures. It’s interesting that it has become increasingly prevalent for historians to refer to ‘the design culture of..’ a period that pre-dates the usage of the term. I think it’s fair to say that, at least in English, the term has only come into common use in the last decade and yet we find it being used to discuss earlier periods. Equally we also find ‘design activism’ and ‘social design’ being grafted onto the discussion of historical moments that figured long before these terms actually came into being. When referring to different eras, should we be more specific in defining these precisely? Is there the danger that these become used a-historically? Social design, for example, is practised and understood in very different ways today compared with the activities of radical designers of the 1960s. My personal view is that design culture has emerged as part as a discursive term within a very specific set of economic and ideological processes, namely neoliberalism. It expresses certain qualities and practices, in many distinct ways, that are framed by this or activities that sit in relation to it. Even within this we have to be precise about how design cultures functioned differently. The conference generally seemed to be happy to accept my proposition that Design Culture as a mode of study and research can exist inside, outside and alongside other pursuits such as design history or design studies. It can be done within and without these, usually with a different emphasis and sensibility but sometimes towards different types of outcomes. The keyword here is and rather than in opposition to or instead of. It was interesting that, perhaps due to the contributions of at least two of the keynote speakers, a stronger space was also being carved out for cultural studies as a reference point. Notable here was the proposition that this field provides methodologies that work as useful counterpoints to those that come from the social sciences. More specifically, the embededness of the researcher with things within cultural studies provides, arguably, a qualitatively different approach to ethnography. Furthermore, doing cultural studies opens onto using the poetic as a form of enquiry. Description needn’t just be description. It contains analysis as well. Finally, the influence of STS and ANT was notable at the conference (as it seems to be everywhere in academic research at the moment). But I’m intrigued as to how Design Culture studies opens up modifications or even alternatives to these. Many delegates, like myself, had come to Design Culture through teaching practice-based design students. We had become dissatisfied with traditional approaches to teaching ‘contextual studies’ or ‘history and theory of art and design’ as separated activities. There is a place for this separation of ‘studio’ and ‘classroom’. But we also felt that much of the richness of praxis was being missed. The rise of service design, design thinking and social innovation in recent years finds natural partners in Design Culture, given that they, at best, attend to socially constituted practices and the role of materiality in these. Changes within some sectors of design itself rework their relationship to the humanities and the social sciences. Currently, though, Design Culture studies more often looks onto design practice rather than being a starting point for practice itself. In my own experience, Design Culture provides opportunities to intervene in the world through policy and debate at the macro-scale and within neighbourhood development. Perhaps there are other forms that design culture as practice can take. Perhaps we should not be quite so instrumentalist in thinking about the uses of design culture, as if it has to feed into design. Perhaps we can regard academic enquiry, writing or convening discussions as itself part of an expanded field of practice. Certainly, we should also be thinking about how we can engage in non-standard academic formats and places, pursue other publics and build new enthusiasms elsewhere. The conference ended enthusiastically, with discussion for a follow-up one already beginning. My short-term gauge of a successful conference or symposium is how many delegates go on to nearby bars to continue the conversation. That evening we were also entertained by an open-air rock concert alongside the university building. This was a public event to celebrate the new campus. 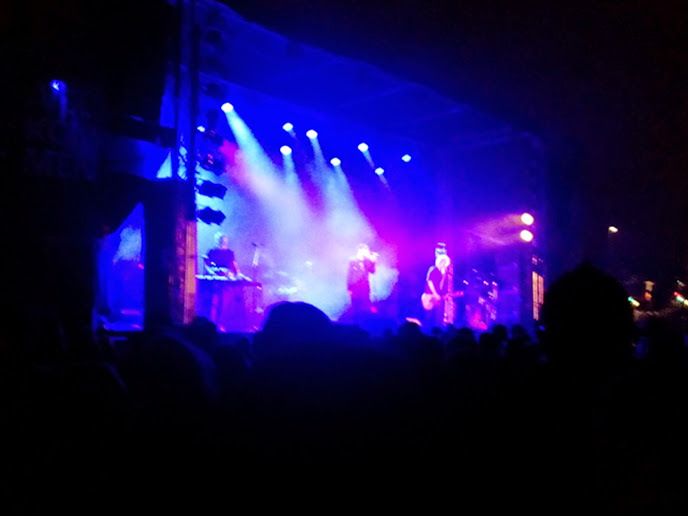 Among the star bands was ‘poetic post-punk’ band Magtens Korridorer (Corridors of Power). Its lead singer is Johan Olsen who holds a PhD in microbiology. Now that’s an example of cross-disciplinarity! Or more likely it’s a case of ‘…and…’. A mature state of design culture, one that is self-knowing, reflexive, critical and productive — in terms of its stable but dynamic structures and elements — would be totally beautiful. Let me list what this might mean. All-round public understanding of how material and immaterial parts of any system, service or institution function. A corresponding understanding of how artefacts are both public and private — that they engage individual consumer behaviour but are networked to and contingent on wider systems of finance, politics, energy production and environmental impact. That those artefacts that help to constitute systems, services and institutions are transparent in that they are objects of use, but they are also rendered ‘readable’ in terms of their functions and contingencies (1 + 2). That using those understandings, civic actors (i.e. everyone) are engaged in the collective generation of scenarios, modifications and innovations. So that’s my utopic opener for this blog, inspired by spending a day with Francois Jégou and various colleagues at SDU and from further afield, to explore the relationship of aesthetics to sustainability. Before Francois Jégou spoke, I gave a short talk in which I asked whether we can link sustainable product design thinking to how we design places and practices therein. In my critique of American design critic Donald Norman’s work, I suggested how he usefully attends to a wide range of cognitive encounter when discussing products and interfaces, but that the relationality of these tends to get ignored. By this, I mean that these artefacts are considered in isolation — as singularized objects. Conversely, an Actor-Network Theory or Practice Theory approach would seek out all those other things, and all those other people, all that other knowledge, skills and states of emotion — and the links between them — that allow that object to exist in the first place. A version of what I talked about is available to read here (my closing remarks on ‘co-articulation’ that I have derived from the work of sociologist Noortje Marres are not in this paper, however). As someone with a background in design history, perhaps my intuition is to look back or around and try and make sense of what has happened or what is happening. This is where my enthusiasm for ‘making things public’ that Bruno Latour has expounded comes from. How can we build stronger understandings and thus a more politicized everyday life through our knowledge and insight into what we use and where we go in our day-to-day lives? So the next step, which is more future-oriented, is how can we, using this, imagine and implement improvements that are kinder in their carbon footprints, more equitable in the distribution of resources and more appreciative of the assets available to us? This is where the work of Francois Jégou and his organization, Strategic Design Scenarios comes in. 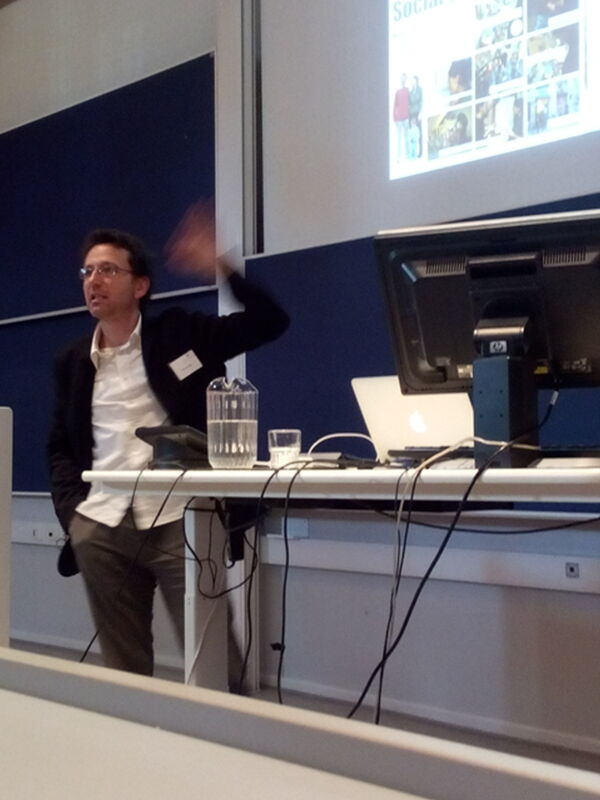 In his lecture, Francois explained that his studio looks more like a movie set than a traditional design consultancy. Here they produce video sketches that develop and explore possible future scenarios of human action. In so doing, new practices can be prototyped. And through these sketches they can also be communicated to be made understandable and usable. They actually show new things in use. This requires paying close attention to the detail while allowing non-specialists a role in seeking solutions. But this cannot be standardized as a process. We are, by now, very used to the many versions of participatory design and co-design that are available. In a recent paper, Ramia Mazé argues that, far from being a blunt instrument, social innovation is nuanced by all kinds of factors as to the ‘when, where and who’ it takes place with. Design and social innovation are messy and contingent in themselves, producing varying patina. It seems that just as football followers can read and articulate the subtleties of various games, teams, formations, points in the sporting season and so on, so we need to be alive and analytical when it comes to design culture. And if the trophy to be lifted is a more sustainable and equitable life, then we need to improve our participatory game. This also means, as we agreed in our afternoon discussion, that we can re-invent the ways by which designers interact with publics. Does this mean that the designer can also become expert commentator, blogger, pundit, fan-club organizer, trainer, coach as well as player? This might be where design culture graduates have a role in the future as well. Finally, then, we can also attend to the settings of design education. ‘Schools do not represent themselves as strong social actors’, Francois argued. Design schools have enormous power to be civically engaged, innovation labs. 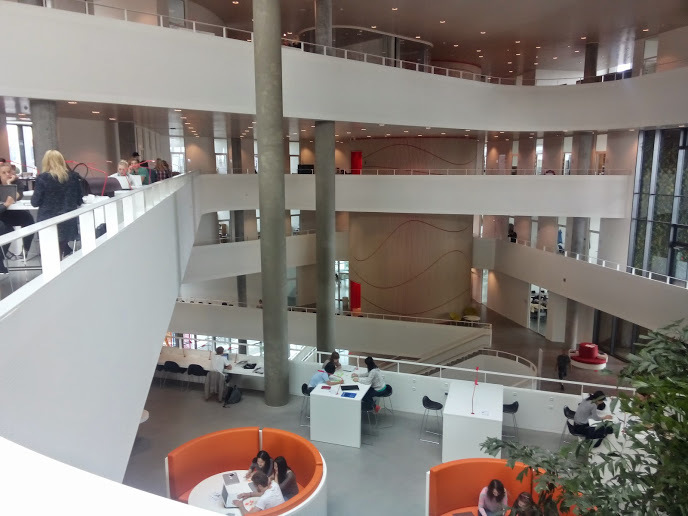 I would add, that we could also be talking more about other third spaces, such as libraries and museums as civic environments where these discussion can take place, an issue that emerged at another SDU design culture event. It seems, at least to me, that plenty of ways for Design Culture to move from being an analytical tool to being a practice that itself produces new, beautiful ways of living and being are emerging through the course of our research events. I hope that our Design Culture: Object, Discipline and Practice international conference in Kolding in September 2014 can reveal even more. Unfortunately, Professor Jonathan Chapman is unable to join us in Kolding for the Exploring the Total Beauty of a Sustainable Design Culture. My SDU colleague Niels Peter Skou has asked if I will step in and give a talk. Fortunately, I am closely connected with Jonathan Chapman’s work. Not only is he a colleague of my from the University of Brighton, but we have also worked together at various times. I hope to do his work justice by drawing on his thinking and extending it into how we might think about sustainable towns and cities. So hopefully I shall be making links from his thinking to the brilliant work of Francois Jegou. Through my work with Mapping Social Design, I have become increasingly embedded in questions of social innovation and design for sustainability. A version of the talk can be read here. Please note that it differs a bit toward the end in the examples discussed and the final conclusions. The University of Southern Denmark, Kolding presents two of Europe’s leading figures in the field of sustainable design in a shared discussion and workshop. Professor Jonathan Chapman, University of Brighton is known for his 2005 book Emotionally Durable Design where he presented a new way of thinking about sustainable product design that included the emotional relationship between users and products as a way of prolonging their lifespan. Jonathan Chapman has worked with this concept as design consultant for governments as well as global companies and brands like Puma and H&M. French design theorist and strategic design consultant Francois Jégou is a leading figure in the field of social innovation. He is coordinator of the European branch of the social innovation network DESIS (Design for Social Innovation and Sustainability) and is co-organiser, together with Ezio Manzini, of the Sustainable Everyday Project (SEP) an open web platform (www.sustainable-everyday.net) to stimulate research and didactic activities between social innovation, design for sustainability and peer-to-peer services. He is the director of the Brussels based design research company Strategic Design Scenarios whichhas worked with governments and municipalities all over the world developing scenarios for sustainable futures. We are bringing these two perspectives together in order to discuss the notion of a sustainable design culture and the role of aesthetics in this. Sustainability is an ethical demand prompting us to respect the limitations of resources with regards to the living conditions on the globe for ourselves and future generations. This calls for an holistic view on the circle of production and consumption of goods and the development of a common sustainable design culture spanning companies, designers, politicians and the public as consumers and citizens. Ethical and political aspirations as drivers for design development is a recurring theme in design history but more often than not the development of aesthetic style has seemed to outlive the former intentions. In the end aesthetics is inseparable from design, but aesthetics could also be accused of being part of the problem, creating desire for new objects and replacing real ethical action with ethical symbolism. So how can aesthetics play an active part in the development of sustainable design? And does this call for a new understanding of beauty? We have borrowed the term ‘total beauty’ from Edwin Datchefski’s 2001 book The total beauty of sustainable products where he argues that the beauty of sustainable products is not limited to its physical appearance but also encompasses the networks it is part of in terms of impact of the environment and means of production. Aesthetics however is still inescapably linked to the sensual. So how can sustainable processes and networks be visible or tangible? Should sustainable objects look sustainable at all? 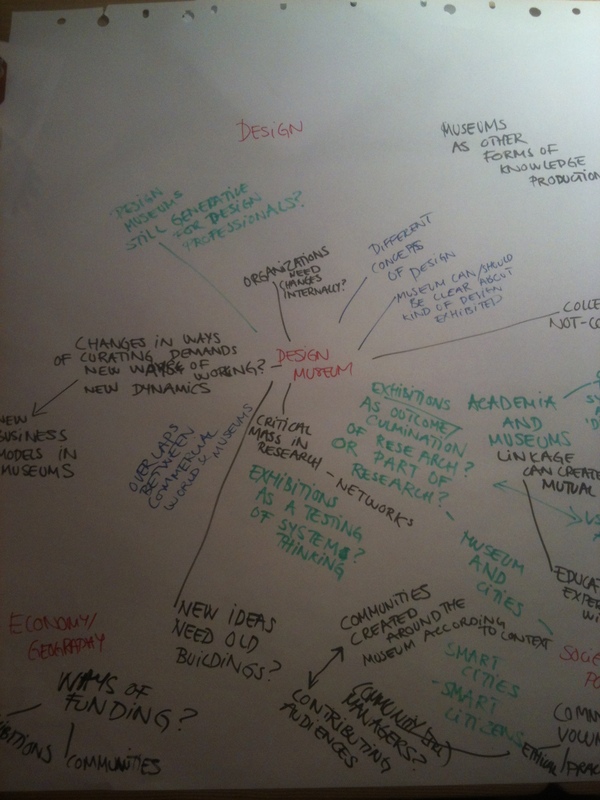 What are the tasks, possibilities and limitations of the designer in a sustainable design network? And how can sustainable consumption and democratic politics be combined? 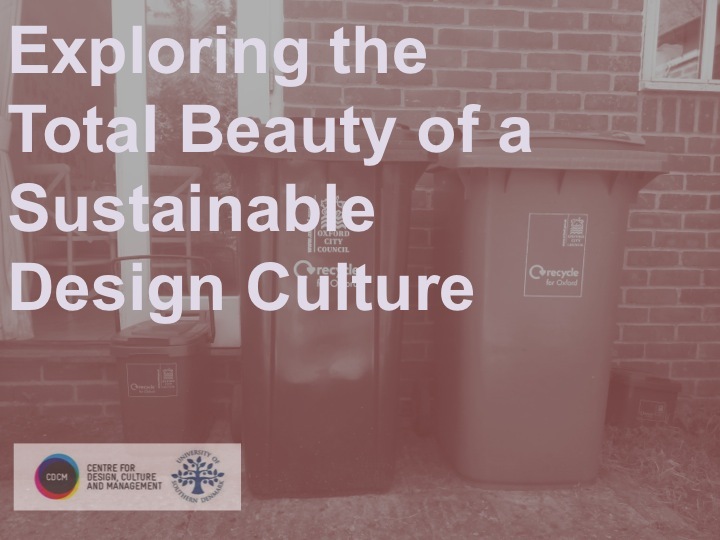 By posing such questions we hope to encourage a fruitful discussion on the possibilities and limitations of sustainable design and to take this discussion further into the question of what characterizes a sustainable design culture and how it is created? Which human competencies, skills and knowledge are needed from future designers and engineers as well as from the public regarding new forms of politics and citizenship? In the morning Jonathan Chapman and Francois Jégou will each deliver a lecture followed by a shared discussion. In the afternoon the two speakers will lead a common workshop engaging the participants in further reflection on the subjects and their practical implementation. In this, we will, in particular, be focusing on the competencies and knowledge that are needed to develop in the directions outlined in the morning’s lectures and discussion. The past decade has seen increased use of the term ‘design culture’ to denote particular designerly co-existences in a range of settings. Design Culture has been established as a recognized field of study in universities. It has also emerged as a particular form of creative and strategic practice. It is time to cross-exam these formations and consolidate debate. This conference provides an inaugural international forum for scholars and practitioners to examine design culture, as object, scholarly discipline and practice, in all its diversity and depth. It is expected that the conference will play a key role in defining the field and moving it forward. Design Culture studies resolutely focuses on design’s contemporary manifestations and meanings, collapses traditional disciplinary boundaries within design, is interested in design as a social practice and how it functions in society and in the movement of things and knowledge within its networks. A number of questions arise, including the following. How do these three modes of design culture (object, discipline and practice) intersect? Is this consolidation of design culture specific to an historical moment? How does it challenge other academic traditions? What is needed for it to thrive as a mode of practice? Where, when and how are design cultures revealed? The conference is divided across two days with a single-track of invited speakers and panel discussions through the first day and then conference paper strands on the second. We invite paper proposals that fall within one of the following three headings. Case studies – researched examples of the conjunction of contemporary design, production and consumption that reveal new methodological approaches, disciplinary challenges and opportunities, unusual locations, scales and dynamics and challenges to approaches, thinking or theories in its cognate disciplines in the social sciences, arts and humanities. Educational approaches – analysis of Design Culture studies in undergraduate and postgraduate teaching, focusing on such issues as its productive capabilities for design education, its role against or within fields such as sociology, economics, cultural studies, media and communications, management studies, human geography or comparative literature. Professions and publics – evidenced discussion of how design culture opens onto new professional specialisms, forms of economic, social and environmental policy-making and implementation, notions of citizenry, everyday social practices, new networks and relations or technological imaginaries. Deadline: 1600h, Monday 17 March. Proposals that clearly state how they address this field of design culture are encouraged. The selection of papers will be made by a conference committee of academics drawn from the University of Southern Denmark , the University of Brighton and related institutions. Full papers will be published on the Centre for Design, Culture and Management website after the conference. Other publishing opportunities will be explored as well. Notification of acceptance will be given on or before Monday 28 April. The full conference fee is €130, payable by all delegates. This fee covers lunches, refreshments and the conference dinner on the evening of Thursday 18 September. The conference will take place in the brand new building of the University of Southern Denmark (SDU) campus in central Kolding, adjacent to the Kolding School of Design. 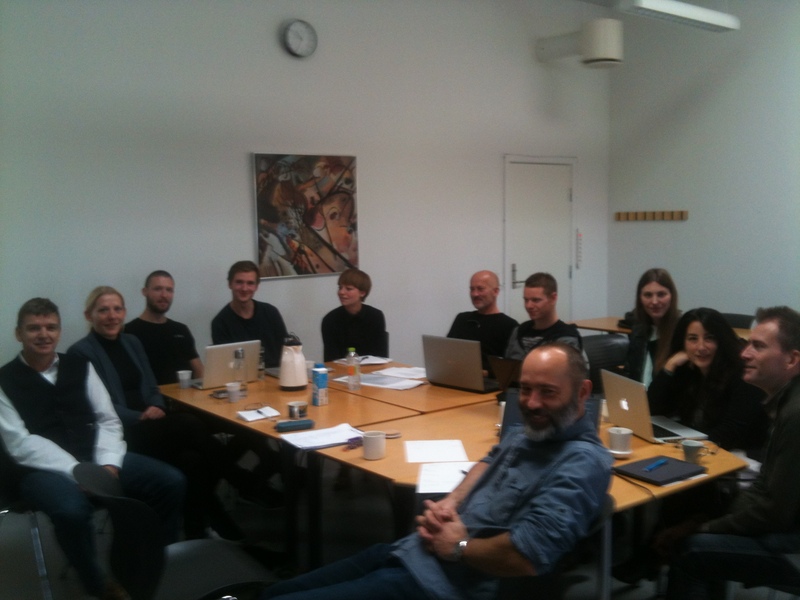 The University of Southern Demark runs a BA Design Culture programme with over 300 students and shares a Design Culture research milieu with the Kolding School of Design (see http://www.cdcm.dk). Kolding, at the south eastern point of Denmark’s Jutland peninsula is a 30 minute taxi ride from Billund Airport, 2hrs train from Copenhagen and 3hr 35mins from Hamburg. The Kolding municipality is leading a radical regeneration programme that places design at the centre of its entrepreneurship, education and social innovation activities. In order to develop a focused but free-flowing discussion, this roundtable discussion was organized as a ‘closed’ event. However, it was a highly productive day, and so it’s worth sharing the issues that emerged through discussion publicly. While design museums have responsibilities for the collection and exhibition of objects that mark design’s historical trajectories, this task is, arguably, becoming more complex and challenging. The last 20 years has seen the proliferation of design museums through Europe and beyond. At the same time, the practices, social meanings, political significances and economic roles of design have changed radically. In turn, this implies a new range of opportunities for how design museums might function. 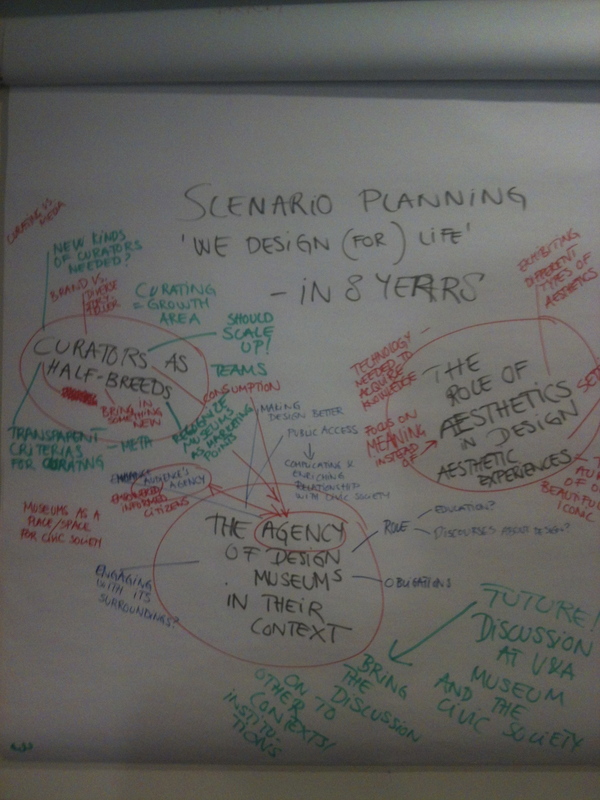 to identify possible future scenarios for design in museums. The event was planned to encourage debate and exploration. Invited practitioners and researchers in the field gave brief position statements at strategic points, as the discussion unfolded. Kieran Long, Senior Curator in Contemporary Architecture, Digital and Design at the Victoria & Albert Museum opened the discussion with a position statement. He spoke of the challenge of the ’waiting for objects to become significant’ style of curating – the orthodoxy that we can only tell what is important once it has receded into history. One has to ask how that significance is produced? Surely this is itself not a neutral process. While collecting makes a museum, one has to be aware of the power and responsibility that it carries. It follows, therefore, that curators should be critically aware of the processes that frame that collecting. As a proponent of design culture studies, for me this notion of ’wait and see’ denies active thinking about the contemporary world. It can dangerously lead to an abdication of responsibility – allowing other forms such as journalism or the marketplace to do the choosing for one. We should be more alive to current social and technological processes and transparent about the tools by which we view these. By way of an alternative approach to this ’wait and see’ thinking, Kieran gave the example of the ’rapid response collecting’ that his team has developed. This collects objects that are significant in terms of global change, of all kinds, reflecting important stories and the role of material culture in these. An example of this was collecting the world’s first 3D printed gun. He was careful to point out that this involved extensive back-research, including interviews with Cody Wilson of Defense Distributed in Austin, Texas. Thus signficance isn’t taken as a given just because it appears in the press. Deeper questions are mined. Anne-Louise Sommer, Director of the Design Museum Denmark, talked about the ways by which her museum had been historically framed. She revealed how the museum has been closely allied with forms of national design promotion so that the msueum acts as place to explain and talk about design in this context. At the same time, she spoke of the important issue of the design museum as a civic space, as a place for thinking about life and materiality. This theme of the museum as a civic space kept recurring through the day. Later in the day, Sabina Michaelis contested this notion of the non-commodified design museum. She argued clearly and forcefully that the design retail sector invariably worked to blur the boundaries between themselves and the museum. By, for instance, exhibiting their wares on podiums in the shop they adopt the spatial and visual language of the museum. And conversely, we know of plenty of corporate brands that also have their own museums. Advancing the debate on the museum as civic space, Igor Calzada spoke of the museum as being an active agent in a wider system of governance. This may be in terms of the reality that many are owned and run by local authorities or national governments. But beyond this, and more subtly, they may provide a kind of third space for the convergence of academic, activist and social innovation practices. Thus they move from being spaces of passive reflection to active participation in governance and society. What might the post-crisis, post-2.0 museum be like? This is an intriguing thought that loops back to Kieran Long’s concept of rapid-response curation. This latter activity has the power to catalyse debate and opinion. Can it be taken further to act in the kind of context that Igor describes? Speaking for our hosts, the Trapholt, Karen Grøn was also keen to champion this idea of the civic space of the museum. She pointed out how all of the museum’s exhibitions are centred on a key question that could be tackled at various levels. Thus the museum can be a place of debate and discussion. It is important to take the lead in this – the debate can be advanced and challenging and, she opined, and publics respond positively to this. Threading through many of these issues was the question of ‘the curator’. Need the curator necessarily be a design history and curation expert? There was considerable enthusiasm for hybrid curators around the table – people who can bring distinct sensibilities into the museum from elsewhere. The danger of over-specialisation, by contrast, may be that the discourse of what design is and how it is conceived of in the museum gets locked down. Liz Farrelly, argued that design museums were already active in doing this and, contrastingly, she spoke for a more dynamic and disruptive role for the design museum, constantly confounding and challenging expectations. She gave the example of a period at London’s Design Museum, under the directorship of Alice Rawsthorne, that put on an exhibition about Constance Spry in 2004. Spry was a key taste shaper through the 20c. but the exhibition became controversial for the Design Museum’s board because, for some, she didn’t represent a mainstream narrative of professional design. Liz argued that there is a need for the kind of new curatorial expertise that Rawsthorne brought to the Design Museum in order articulate its expanded field. Part of the issue here is how contemporary design curatorship in the museum can be articulated and, even, be reflexive. 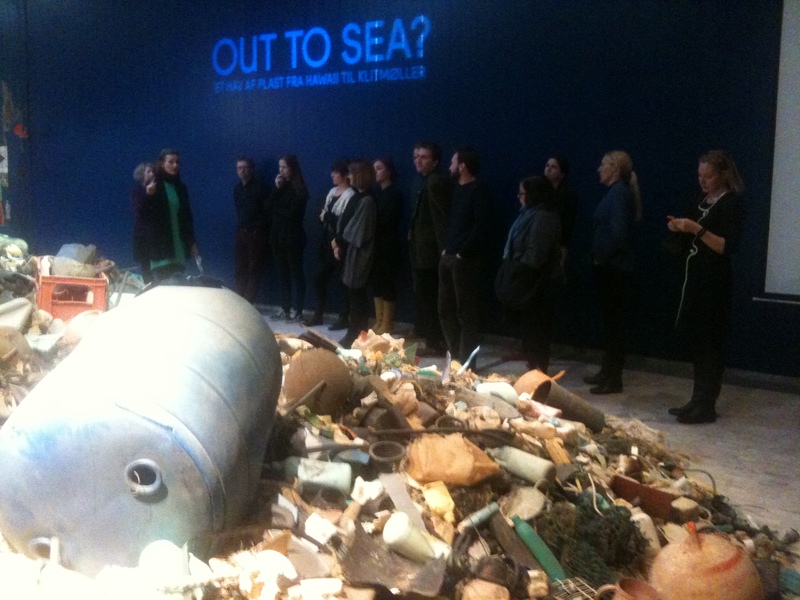 How can we make the processes, decisions and aims curatorship evident through the exhibition itself? At times there is willful misunderstanding of the curator’s aims by reviewing media. But there is probably a large grey area of museum visitorship who are interested in the processes that make curation and the museum. Ultimately, it should be remembered that the design museum doesn’t just reflect external circumstances, it is active in shaping thinking and practices outside its walls. On 13 December 2012, the Kolding Municipal Council unaminously adopted its new vision for the city: ‘Together, we design a better life through entrepreneurship, social innovation and educaiton’. This tag-line later became ‘Kolding — we design life’ or ‘Kolding – we design for life’, depending on your translation of ‘vi designer livet’ (I presume!). I look forward to the coming, slow 9 years of the programme. Malene Leerberg, development consultant at Kolding Municipal Council, and I are currently writing a paper for the Finnish Journal of Planning and Urban Research. While reporting on the Kolding process, we are putting this in the context of wider debates in design-led urban regeneration and design thinking. I’ll be reporting highlights of the article on this blog, when it’s written. Fashion studies have over the last 10 years become a well-established field of research, while the concept of design culture has evolved as a way of studying design in its complex relations of production and consumption (Julier, 2000). However, the two areas are often approached as separate fields of practice as well as of academic inquiry. This seminar aims to explore the convergences as well as the divergences between fashion studies and design culture. The seminar will present current research from scholars working in either of these fields, followed by discussion. The seminar will take place in the auditorium and will be open to all. Followers of my twitter feed (@guyjulier) will have seen that I have been in Buenos Aires the last week. I was principally there to speak at the conference of the Buenos Aires International Festival of Design, organized by the Centro Metropolitano de Diseno. I took advantage of the event to talk about Kolding in terms of design culture and its regeneration ambitions, pointing out the need to take a slow approach. Contrasting with ‘mainstream’ neoliberal economies, at a civic level, I argued, we need to take a considered and inclusive approach to building intensive social, productive and designer relations. It seems that this design culture concept has really taken hold in Latin America. Previous trips to Mexico and Colombia, contact with academics in Uruguay and my week in Argentina suggest a real enthusiasm for exploring the contemporary meanings of design in society. Much of Latin America is marked by large-scale, corporate, neoliberal economic practices that contrast with strong concerns for bottom-up, social movements. The pursuit of design culture takes us to understanding the material-social relationships of the two. And, indeed, I was delighted, for example, to meet studios such Cooperativa de Diseno. 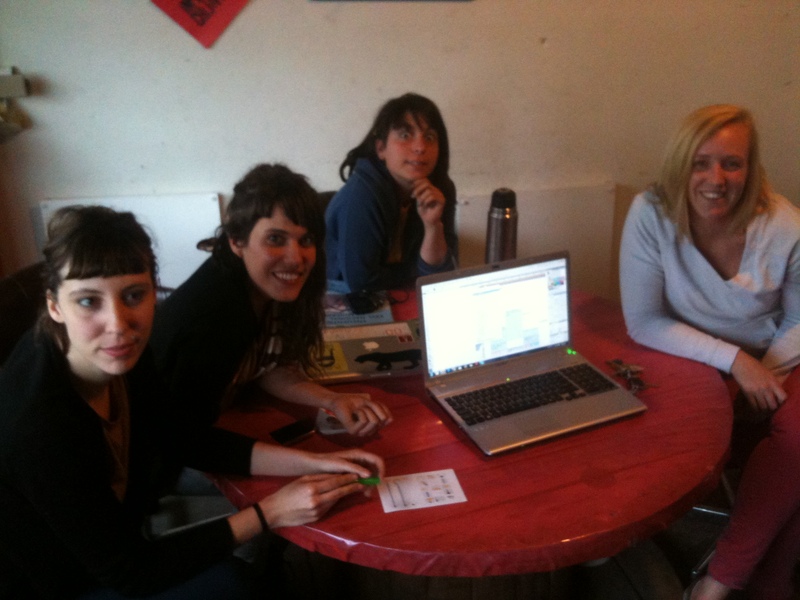 Run by seven women, this studio works on a horizontal basis, specializing in design services for other cooperatives. As such, much of its activity is with manufacturers and service providers that have been formed by worker takeovers. What has this to do with design culture? Well, I think it is about that notion of horizontality. Rather than working within a vertical value chain from corporation to consumer, they work across different actors that include civil society and productive expressions. They create communications for International Day of Women Workers or products to be made in the cooperatively run IMPA factory. In this way they are engaged in developing interactions between and across actors in various ways. There’s much more to say about this group and, indeed, design culture in Buenos Aires, Argentina, Latin America and so on. That will have to wait, though. For now, let us return to Kolding and a presentations seminar given by students of the MA Design Studies at the University of Southern Denmark on Thursday 3 October. Students were asked to take a product and prepare an account of it through the three stages of design, production and consumption. By taking an individual product, the tendency was to provide a product biography, tracing its life as a series of moments from its conception, design, manufacture through to distribution and use. When we get into more complex arrangements, this sequentiality breaks down. By this, I mean that when we consider objects that are distributed across contexts, but are nonetheless linked within a network, we have to pay more attention to the to-ing and fro-ing between them. This means looking at the various practices (economic, political, social, cultural, technological etc.) that are being enacted within this network and involve the activities of people and things in relation to each other. Design culture implies relationships between nodes. But these are not always linear or circular. Information, things, knowledge, resources and more flow between actors in design culture. Some designers are solely concerned with their client and then with their client’s relationship with their public. Others, such as Cooperativa de Diseno, are concerned with clients, for sure, but they also engage with other publics. Their clients themselves are also constituted as publics by them. Attending to and specializing in producers who have a major, if not primary concern for justice and dignity among its own employees means that their work is different from this vertical or linear conception. Put in another way, the makers of their designs are, in a sense, also users of them. They are thinking about the politics of design both in their support of the socially engaged groups they work with, but also in the wider politics of the kind of society they want.